We all know how important it is to take care about our eyes, but what about animals? Can you imagine, they also can have some problems with their eyes! But it's not very easy for them to visit a doctor, so many of them suffer from bad vision and can't even choose a glasses. Fortunately now you can help them! You are one of the rarest specialists in the world – animal eye doctor! 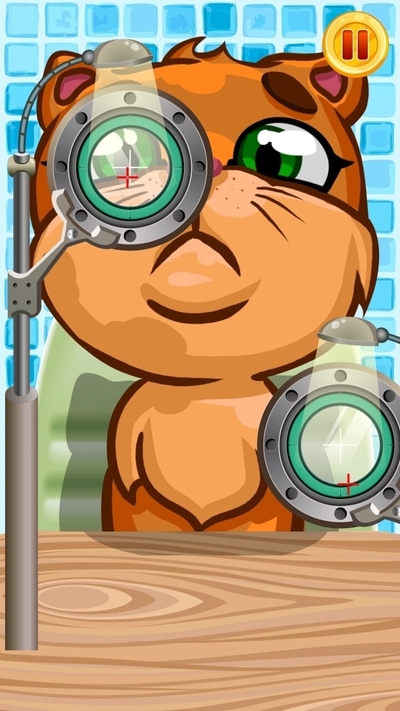 Help your cute patients to increase their eyesight and even to change their image! HOW TO PLAY: Choose a pet you like, cat, dog, bear, rabbit or a dragon! First of all you should find out a problem, you can do it by using various tests, then, you as a doctor, can prescribe a treatment: -eyedrops -glasses (of course you should help to choose) -contact lenses, you even have a colorful ones and as a stylist you can help to choose a frame for glasses and even decorate it with crystals! 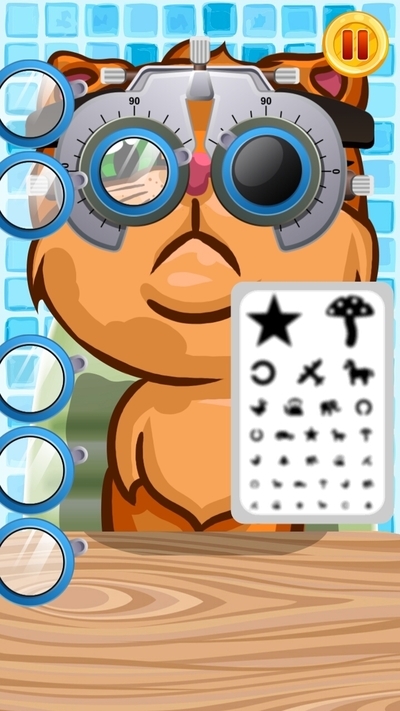 Pet Eye Doctor features: - Tests for your eyes and attention - Stunning graphics and great realistic sound effects!